What We Believe Should Be In Your Veggie Burger! Plant-based meat alternatives continue to grow in the frozen and natural and organic food category. No longer is the veggie burger only for vegans and vegetarians but for all consumers trying to cut down on meat intake and focus more on plant based options. However, as the market continues to grow, does consumer knowledge about meat alternatives do the same? One quick look at ingredient lists and it becomes apparent not all veggie burgers are created equal. Below is a list of key factors we think you should look out for when making your plant-based protein decisions. We choose products whose source of protein comes from whole foods such as: lentils, brown rice, beans, seeds, hemp, etc. When combined together, they can make a super food team. Take brown rice and beans for example. According to Today’s Dietitian, beans and grains create a complementary relationship in which the amino acids of each support one another to form a complete protein. Sunshine Burger uses this awesome duo in many of its burgers, providing a complete protein profile. Beware of Isolates, Textured Vegetable Protein, and Hydrolyzed Protein — These are highly processed forms of protein that often require extraction methods that can create more harm than good. Protein Isolate: Most, but not all protein isolates, specifically soy protein isolate, are made from a process that involves hexane extraction as described by the National Center for Biotechnology Information. Hexane is a petroleum byproduct of gasoline refining and has a long list of health risks associated with it. For further information, read here. Hydrolyzed Protein: Hydrolysis is the process of boiling soy in hydrochloric acid and then neutralizing the solution with sodium hydroxide. Sounds safe, right? The by-product is something similar to MSG, which food manufacturers can sneak on to labeling without having to say the product contains MSG (source: Livestrong). When looking for veggie burgers, we suggest you: seek out products that are made from whole food, whole grain ingredients, look for products that are free from added sugar, food coloring, processed oils, MSG, GMOs, and other artificial ingredients or flavors, and be sure to choose organic foods, grown without the use of toxic, synthetic pesticides and fertilizers. If you can easily pronounce and recognize the ingredients on the label, chances are it’s a healthier option. 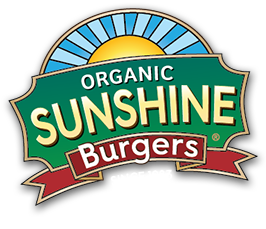 Sunshine Burger proudly makes certified organic, whole food products. Our burgers are made without gluten, wheat, soy, corn, oats, dairy, eggs, tree nuts, peanuts or GMOs. So you can get back to eating more of the foods that are good for you and less of the ones that are questionable. I love your burgers. Keep up the good work.